One of my craftilicious friends loves nothing more than staying up into the wee small hours making greeting cards, gift tags and anything else to do with lovely paper. In the six years that we've known each other I don't remember ever receiving a commercial card from her - they are always handmade, very cute and of course, special. As a little gift to her, and to fuel her late nights (pfft, as if she needs more late nights, she's just had her third baby! ), I put together a "Book of Papers" for her. 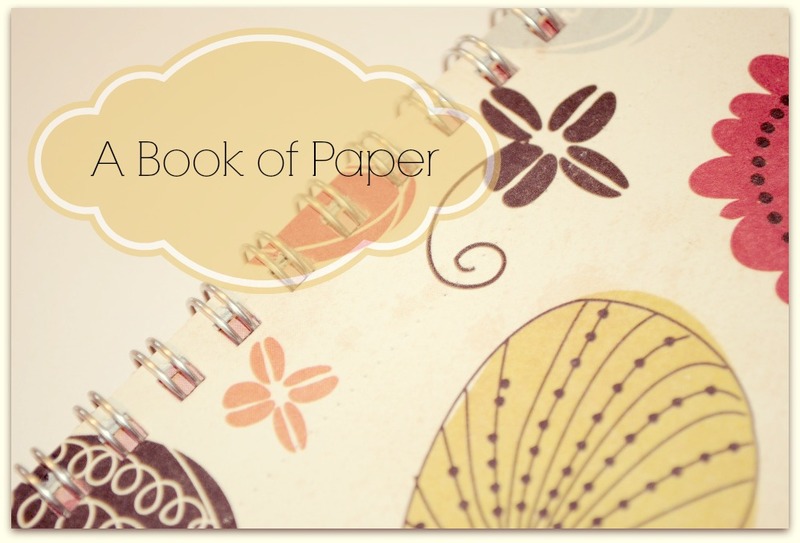 It is a collection of scrapbooking paper bound together conveniently in a book with each sheet perforated for easy removal. This way she has a collection at her fingertips and won't need to drag her three kids around Spotlight replenishing her supply ... although knowing her, she'll need a new stash in about a week! Seriously. When I gave her this little book she texted me a photo within about two hours showing me a card she made with it. See, crafta-c-c-c-razy! I bought the majority of paper online from Scraptherapy (about 40 sheets), made up a cover page using the Rhonna app on my i-phone, added a sheet of vellum, a clear front and a back cover, and then had it wire bound at Officeworks. I wasn't sure how to perforate the pages so I just used my pattern tracing wheel, and guess what? It worked. You can pick up a tracing wheel for around $3.00 at your local craft/sewing store and yet a piece of equipment with a perforator attachment would've cost me around $70. Happy, happy substituter! 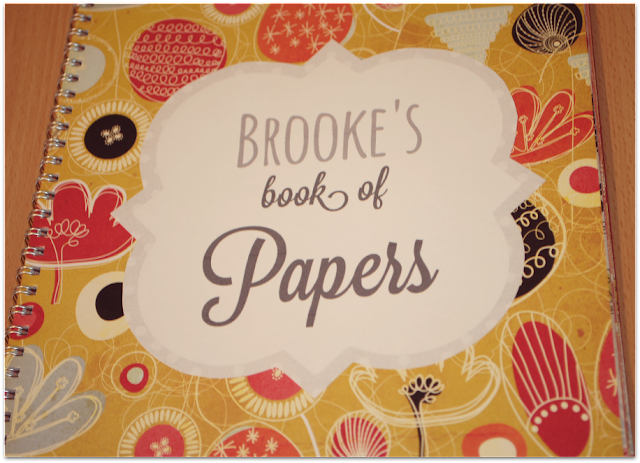 I think this is a lovely, personal gift for the crafting person in your life and it doesn't have to be limited to scrapbooking paper. It could be a more "specialised" compilation - perhaps Japanese origami paper, organic paper or handmade paper, or even gift-wrapping paper in A3. Sounds beautiful, don't you think? I know I'd like one!